Please do NOT use this form to promote your products or services. I do not buy from anyone who sends me unsolicited messages. Guest blog posts are by invitation only. Please don’t use this form to “pitch” a guest post for my blog. I can’t provide consulting, copywriting or comments on your marketing unless you sign up for one of my services. 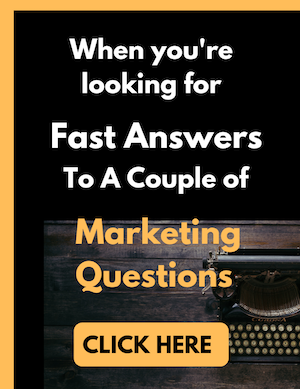 But if you ask a question, I will do my best to answer via a blog post, video or webinar. Did you get dropped off my Ezine subscriber list? First check your spam filters and make sure your ISP is accepting email from me. Then re-subscribe. Send me a Facebook message or complete the form below. The line “Briefly introduce yourself here” will expand as you type.